Imagine yourself at a party where you don’t know many people, probably the one who invited you is your only known contact. Unless you are someone who was really looking forward to attending a party, you would surely look forward to the host to greet you and introduce you to other people at the party and guide you for what all is planned for the day. If not, you’ll pass your greetings to the host and will leave the party pretty soon, as there would not be much of a reason to stay there. Similarly, in an organisation, it is equally important to have a strong onboarding program to ensure high levels of retention and engagement amongst employees. I understand that every organisation wants to have plug and play resources, who can start to be productive from day one, however, we must not forget the importance of time invested in the proper on-boarding of that resource. Here are few reasons why a felicitous on-boarding impacts the retention and engagement level of an organization. As is true in our personal lives, even for corporate companies the first impression might not be the last impression but it lasts much longer. The first impression itself becomes a decisive factor for many to consider the future together. It has been observed that a huge part of your total attrition happens in the first 45 days of an employee’s joining. Just as in a party, if the preparations are right and well planned, you would want to stay longer in there to see how it progresses further. A well designed on-boarding program helps employees to understand their purpose of existence in an organisation. Nobody wants to become a part of a team where he has to struggle to find out the reason for his/her existence in it. That’s why when organisations don’t have a good onboarding program, they fail to develop the trust and confidence in the new joiners, who in turn decide to move on with a seemingly better opportunity. A company where employees are not informed of their roles and responsibilities, upfront, tend to be left with a feeling of job insecurity. These new brand ambassadors see the company as an organization that doesn’t know why they are hiring someone. Once a new employee has formed the impression about the organization and the decision to stay with the organisation, he/she would be well aware of the core expectations and outcomes from the role, the next question being, How would the new joiner do those tasks? A well designed on-boarding program also empowers the new joiner with the right information on how to perform their duties and the appropriate stakeholders of his role. This, in turn, increases the retention level along with the productivity of the new joiners. This encompasses key work responsibilities and the do’s and don’ts inside an organisation, thereby helping the new employees in assimilating the organisational culture. When an employee joins an organisation, he joins with several aspirations for his career. In the initial days of joining an organisation if new employees are given guidance about all the benefits and the career progression pathway that they might progress into, it would provide them the Northstar of their purpose to stay and the motivation to perform and reach up to the next level as described during his induction into the role. Consciously designing work experiences so they lead to employees feeling welcomed respected, valued, inspired, proud, and determined doesn’t just help with employee retention. It also directly improves employee motivation, productivity, and customer service. Many organisations have already started to recognise the benefits of a well designed on-boarding program that results in a highly engaged workforce with improved retention and overall performance. Whereas some have already moved a step forward and started to have strategies in place that increase engagement in a significant and sustainable way with the help of strategically designed onboarding program. With a more robust onboarding program in place, they are already seeing improvements in overall organisational performance and retention rate and are consistently winning the war between inflow and outflow of the talent. 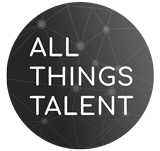 Previous ArticleTechnological Disruption In Talent AssessmentNext ArticleOpen To Video Interviews? Dr Manan is the founder of #GlocalizedHR a platform to Network, Connect and Engage with Leaders from different industries. He is also a scholar of Human Resources and keeps a keen interest in working with education experts in making education a delightful experience. For that, he works closely with companies and designs their data-driven business strategies that drive effectiveness, growth and competitive advantage. He also speaks, writes and chairs conferences on HR Development and management.